Mon., July 31, 2017, 9:33 p.m. The Real Madrid forward, who is from Portugal, was questioned to determine whether he committed tax fraud worth almost 15 million euros ($17.5 million). Ronaldo spent more than 90 minutes answering the questions of investigating judge Monica Gomez. Judge Gomez took Ronaldo’s testimony as part of an investigation to determine if there are grounds to charge him. The session at Pozuelo de Alarcon Court No. 1 on the outskirts of Madrid was closed to the public because it is part of an ongoing investigation. In June, a state prosecutor accused Ronaldo of four counts of tax fraud from 2011-14 worth 14.7 million euros ($16.5 million). The prosecutor accused the Portugal forward of having used shell companies outside Spain to hide income made from image rights. The accusation does not involve his salary from Real Madrid. “Spain’s Tax Office knows all the details about my sources of income because we have reported them,” Ronaldo told the judge, according to his statement. “I always file my tax returns because I think that we should all file and pay our taxes. Both before and after his court appearance, Ronaldo used an alternative entrance to avoid a large swarm of more than a hundred journalists from Spain and abroad gathered near the main door to the court. The prosecutor accused Ronaldo of declaring 11.5 million euros ($12.8 million) earned from 2011-14 in a tax return filed in 2014, when the prosecutor said Ronaldo’s real income during that period was almost 43 million euros ($48 million). It added that Ronaldo falsely claimed the income as coming from real estate, which “greatly” reduced his tax rate. The prosecutor also said that Ronaldo did not declare income of 28.4 million euros ($31.8 million) made from the cession of image rights from 2015-20 to another company located in Spain. Ronaldo said that he told judge Gomez on Monday that that his financial planning hadn’t changed since 2004, when he was at Manchester United. He said he kept the same arrangement when he joined Madrid in 2009. 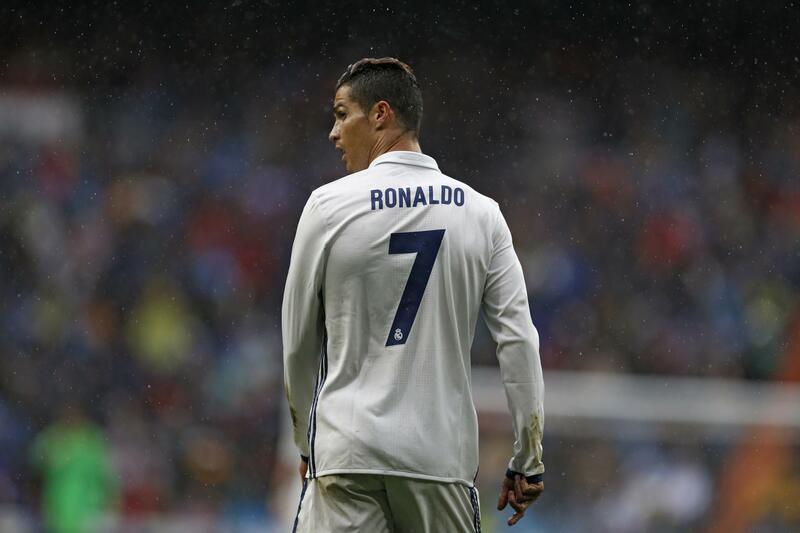 A four-time Ballon d’Or winner, Ronaldo is one of Europe’s best soccer players. He has led Madrid to back-to-back Champions League titles and helped Portugal to win last year’s European Championship. Last month, Spain’s state prosecutor also accused former Real Madrid coach Jose Mourinho of defrauding 3.3 million euros ($3.7 million) in 2011 and 2012 from income made from image rights. Mourinho, now coach of Manchester United, has yet to be summoned for questioning and through his agent has denied any wrongdoing. The probes into Ronaldo’s and Mourinho’s financial arrangements are the most recent high-profile tax cases involving soccer’s top names in Spain. Last year, Barcelona forward Lionel Messi and his father, Jorge Horacio Messi, were found guilty on three counts of defrauding tax authorities of 4.1 million euros ($4.6 million) from income made from image rights. They have both paid additional fines in exchange for their 21-month jail sentences to be suspended. Both former Real Madrid forward Angel Di Maria and Barcelona defender Javier Mascherano have admitted to tax fraud in exchange for lighter treatment from the law, and prosecutors have also opened tax fraud investigations into former Atletico Madrid striker Radamel Falcao and former Real Madrid defender Fabio Coentrao. In Spain, a judge can suspend sentences of less than two years for first-time offenders. Published: July 31, 2017, 9:33 p.m.